Pilot project enabled the training of entrepreneurs, from 11 countries, on tools and strategies for market research. Due to its success, it will be replicated in 2019. To build a strong and resilient micro and small agribusiness sector, in particular women and youth, is an ultimate goal for the Inter-American Institute for Cooperation on Agriculture (IICA) in the Caribbean countries. Therefore, implemented under the Regional Action Plan for the Caribbean, the Integrating Young Agripreneurs into Regional Markets (IYARM) project is key for the international organism. Carried out as a pilot for a 6-month period in 2017, IYARM sought to accomplish the development of Caripreneurs — a term coined for Caribbean youth agri-entrepreneurs — through their product’s successful and sustainable capitalisation on current domestic market access and expansion on regional export market opportunities, especially on the Caribbean Community (Caricom) markets. The project was implemented largely in collaboration with regional development organisations, and led by IICA international specialist in Agribusiness, Allister Reynold, and IICA international specialist in Policy and Regional Programming, Diana Francis. Its main mode for assessments, training and capacity building was virtual. Direct beneficiaries included 25 youth men and women from 11 Caribbean countries with enterprises that operate within the agrifood chain. The participants were requested to have registered businesses with 2-year key financial records, marketable products with some level of product certification, access to technological resources for skills and knowledge training, and to be part of the Caripreneurs social media platform. The entrepreneurs participated of activities such as enterprise and entrepreneur assessments; market opportunity analysis; capacity building in trade, marketing and promotion; consultation and negotiation with potential collaborators like export development agencies, financiers, traders and retailers; and the creation of linkages to potential markets through collaborating traders and retailers. These actions allowed the achievement of key results like the improvement of the agripreneurs personal, management and leadership skills, and business and export capacity awareness and readiness. They were also involved in suggesting interventions for addressing specific business-related constraints, which will help lead to the building of a methodology and guide to engage and support Micro, Small & Medium Enterprises in Agriculture (AgriMSMEs). 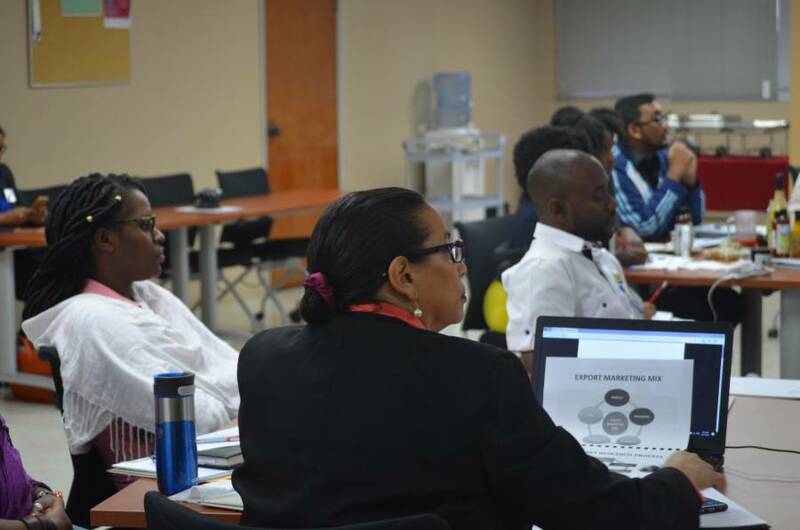 According to IICA Representative in Trinidad and Tobago, Gregg Rawlins, multi-dimensional support and engagement was essential for the project’s accomplishment. “The continuous technical training, the accessibility of IICA project coordinators through continuous communication, and the full partnerships with credible national and regional export development agencies, were the key to IYARM’s success,” he said. Apart from IICA support for AgriMSMEs to participate in the Caribbean Week of Agriculture, this was the first such concerted effort, under an IICA project, to link them to markets with participants not tied to a particular producer group. The participants are native from Antigua & Barbuda, Barbados, Dominica, Grenada, Haiti, Jamaica, Saint Kitts, Saint Lucia, Suriname, Saint Vincent and Trinidad & Tobago. Due to its success, IYARM will be replicated in the Caribbean in 2019.